WordPress cover a huge ammount of the Web World. WordPress helps you to create any type of Website within a few time. Here a list for Best Responsive WordPress Themes 2016. These Themes are suitable for your 2016 Website. We have list these Themes for it’s feature and good looking design. There are a lot of Themes but all of these are not suitable for all time. Trends changing and the Developer also changed with modern trends. You can check the Free WordPress Themes list, for start a new Website. Vigor Provides a powerful admin Interface with multiple header styles. Zoom animation and Parallax functionality provide a better slider. 40+ Custom Shortcodes and Visual Composer helps you to create hand craft page. Create an awesome slider with LayerSlider and place anywhere as you need. You can access to 600+ Google Fonts. Choose any one of them and use for your site. There are multiple demos, check these demo and get an idea for your Business Site or Personal Website. 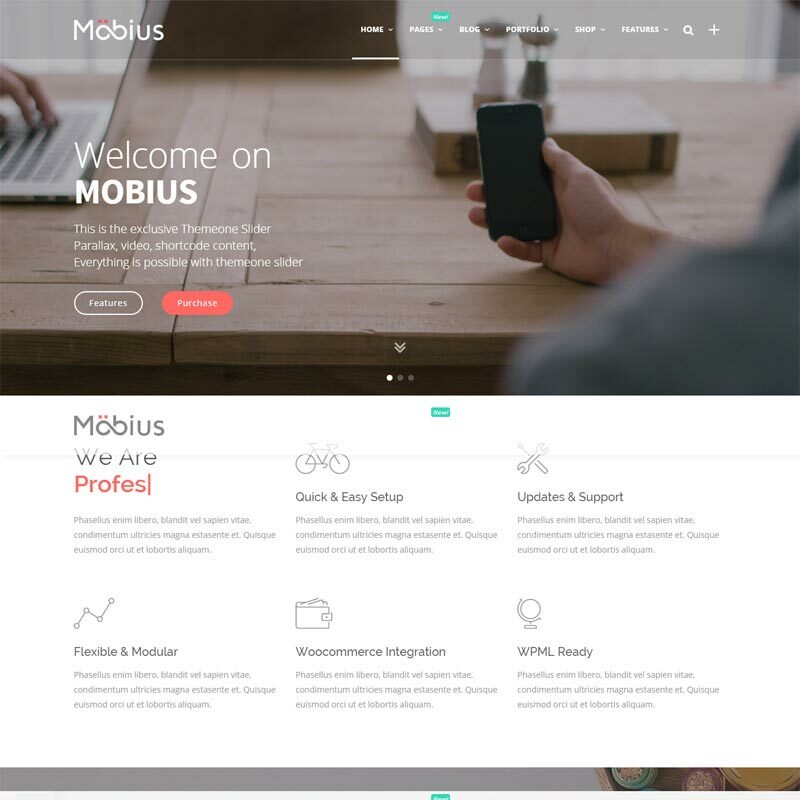 Mobius is a clean, creative and fully Responsive WordPress Theme. This Theme designs with a multi-concept. 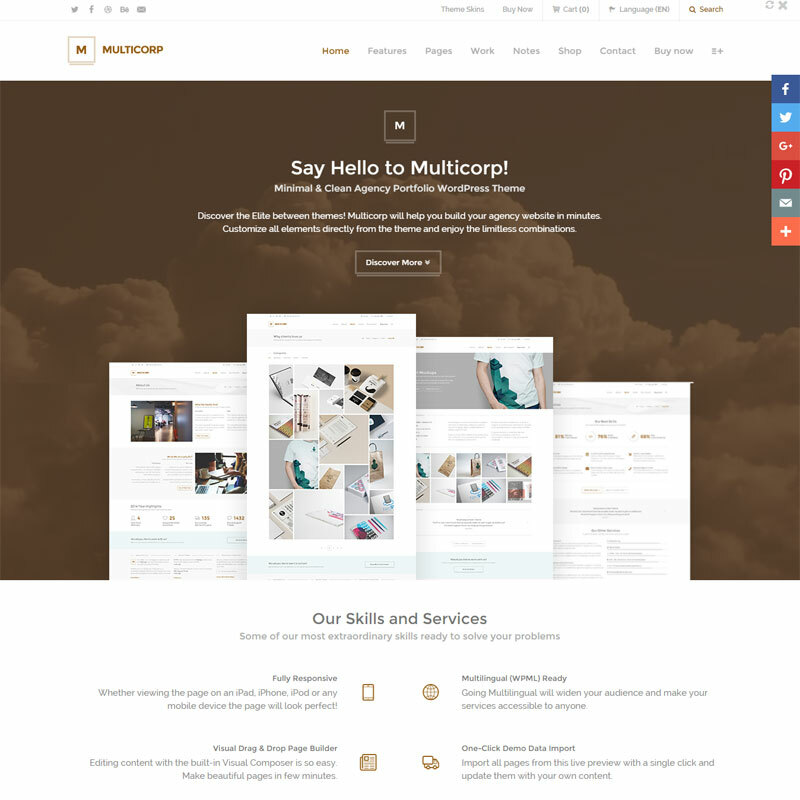 This Theme suitable for business and corporate sites, e-shops, agencies, creative portfolio, blog and photograph sites. This awesome Theme comes with some awesome and unique features like Themeone Slider, Mobius Grid, Custom Headers, Custom Sections and many more. 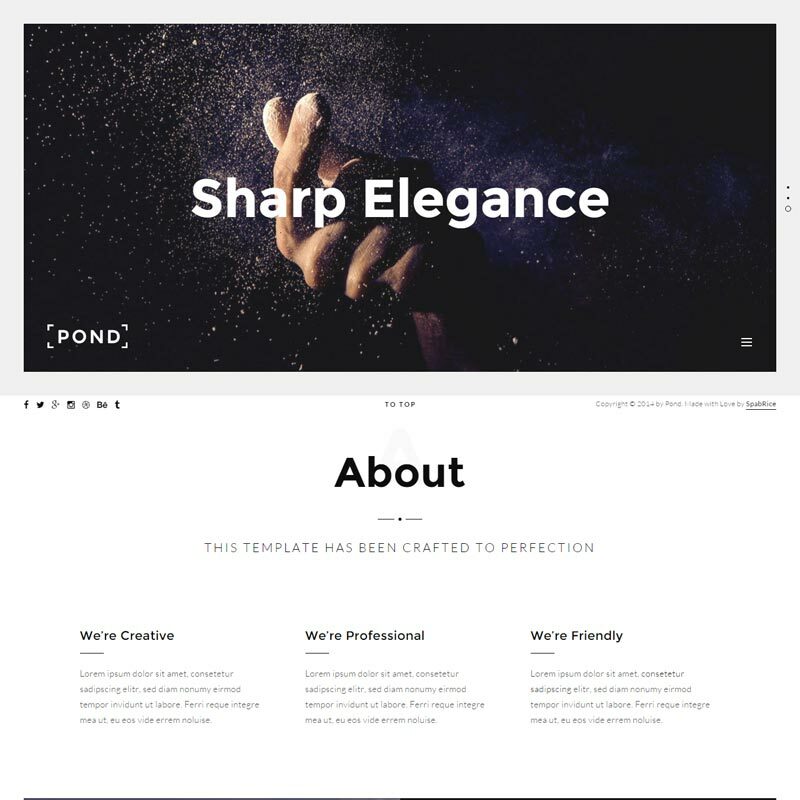 Pond is a super Creative and Minimal WordPress Theme. This Theme Provides some unique Features. These features help you to make your Website stand out. Don’t worry, what types of Website you have. 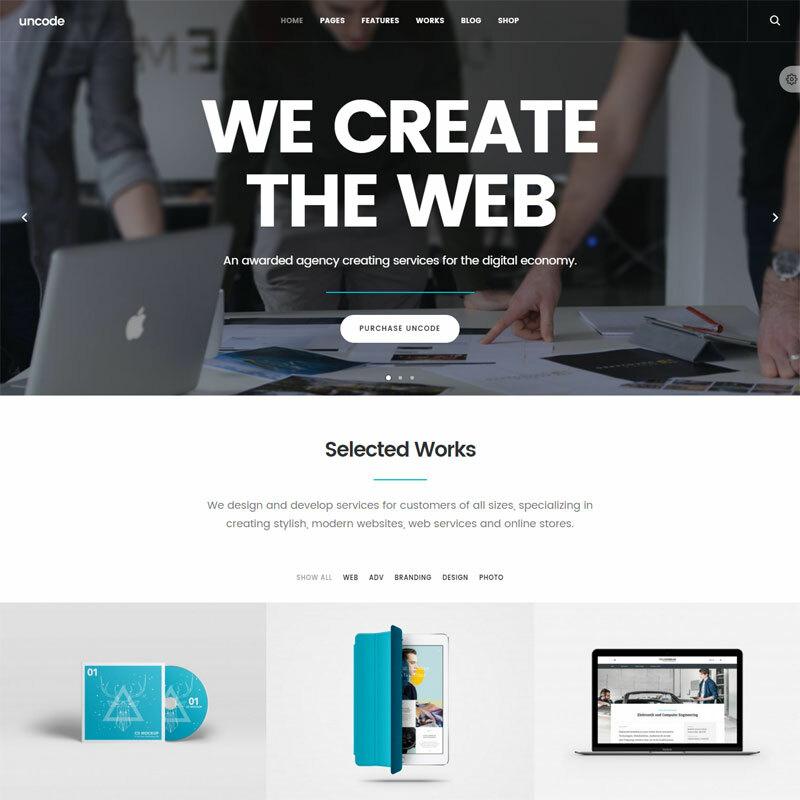 This Theme is perfect for any type of Agency Website. It is a Retina Ready and 100% Responsive Theme. Brick has a powerful admin Interface with highly customizable function. One clicks demo import and no coding knowledge required for working with this Theme. You can access to unlimited header and title layouts. 40+ custom shortcodes, smooth scroll, retina ready, Google Fonts and so many features in this Theme. It has a lot of demos, the demos will give you a clear idea about your recent project. 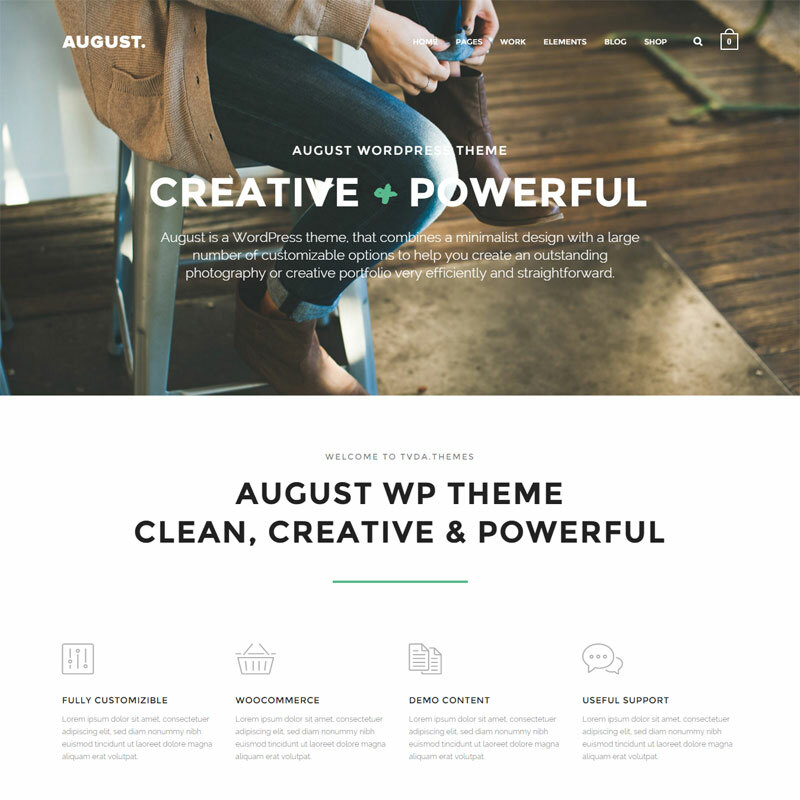 August is a multi-purpose and powerful WordPress Theme. This Theme provides multiple header layouts, Revolution Slider, Visual Composer Plugin, Powerful Theme Options Panel, Video Backgrounds and many more. This full Theme can modify from the Theme Options Panel. This Theme is one of the best choices for creating a business, creative agency or personal portfolio, photography or a blogging website. 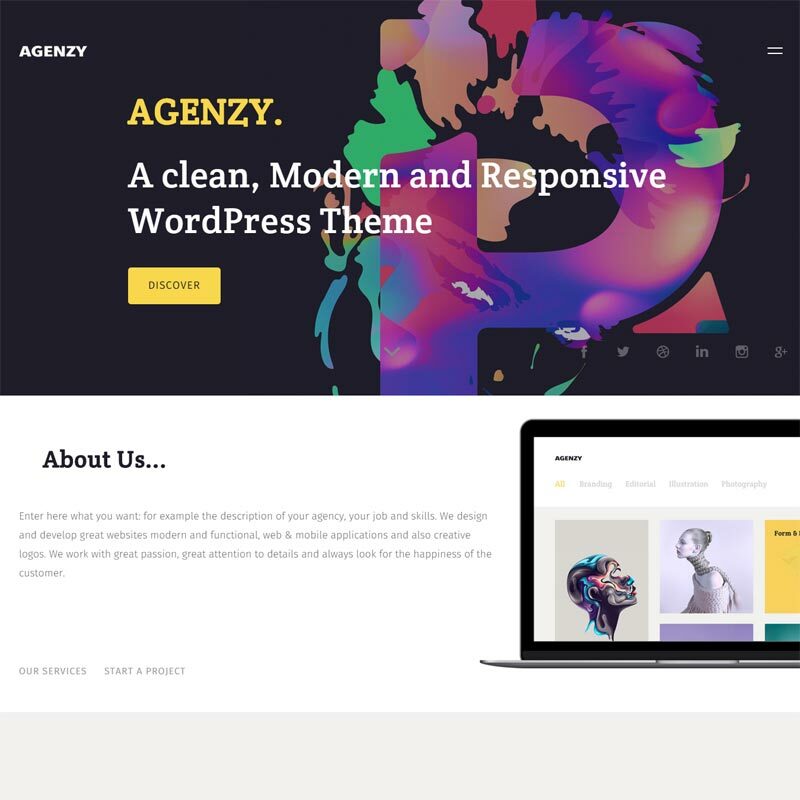 Agenzy is a very large WordPress Theme. 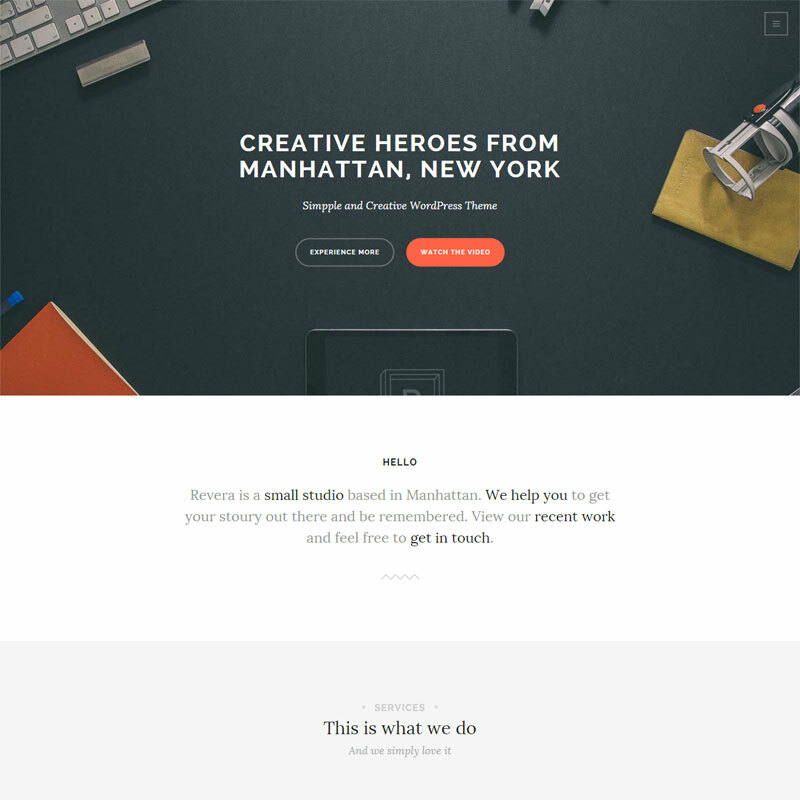 This Theme Designed for Agencies, freelancers, photographers and some other creative people. 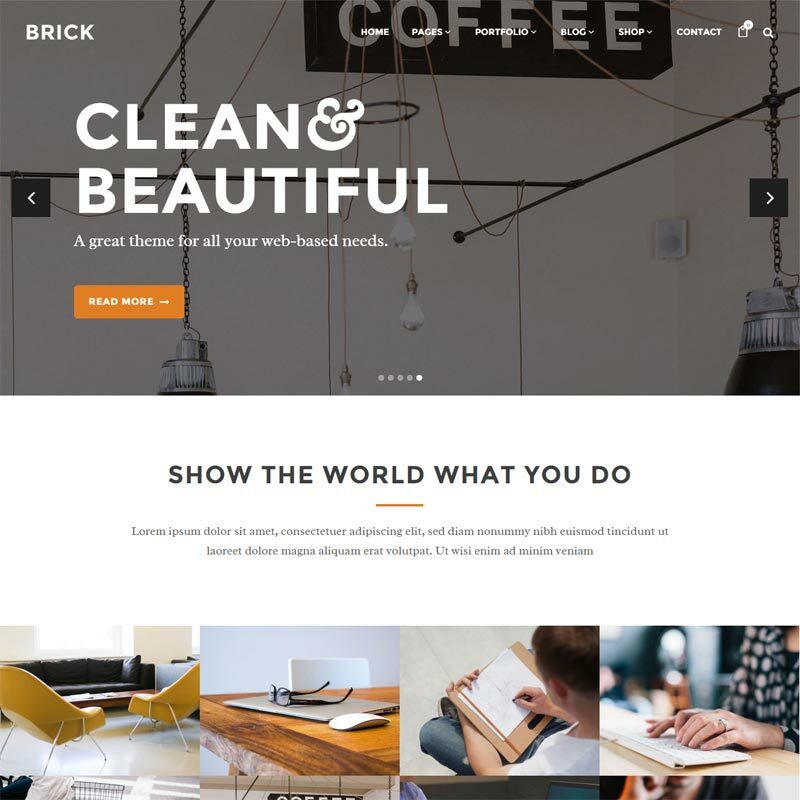 Work better for your Website with this Theme. Agenzy has a clean Design and it has a lot of demos. This demos helps you to realize the reality. Uncode a 100% pixel Perfect WordPress Theme. It Developed in a creative way and suitable for different types of project. Design your page in an endless layout that fit for any purpose. This Theme is suitable Agency, Freelance, Blog, Magazine, Portfolio, Photography, Corporate and E-commerce Shop. Uncode will be the winning choice for you if you are looking for modern and clean Theme. PineCone provides you every necessary section for designing your Portfolio or Agency Websites. 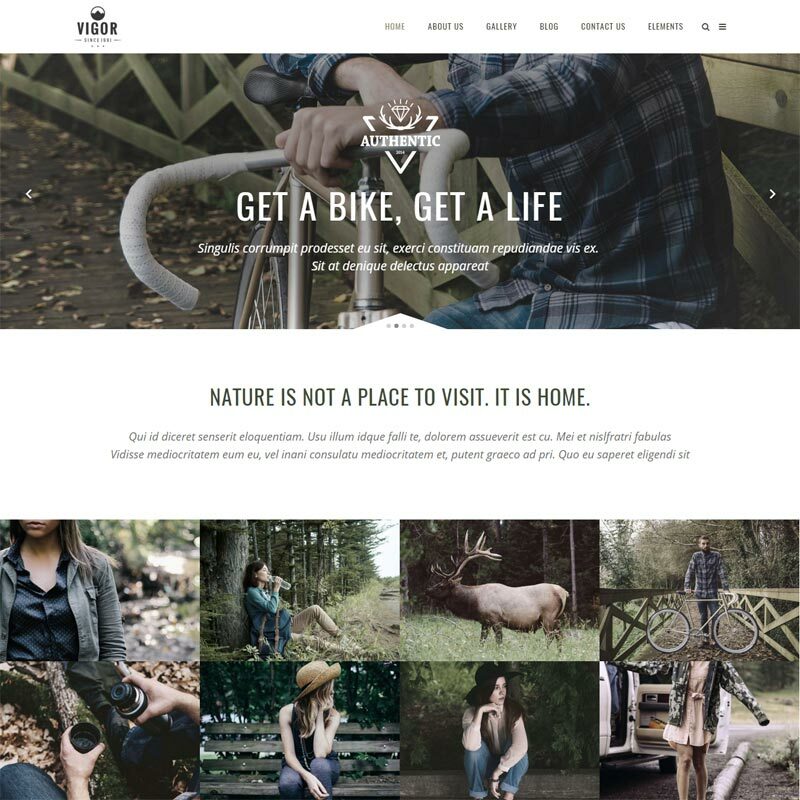 This is one of the best modern and Minimal WordPress Theme. This Theme comes with a new modernistic portfolio-style with pure Responsive look. Custom Widgets with social services icons, Google Maps, Flicker, Instagram, Twitter ready and some other plugin ready Theme. This is a very professional One Page WordPress Theme designed with a creative way. If you are planning to create a Website for digital agencies, marketing firms, and other creative businesses then this is the perfect choice for you. 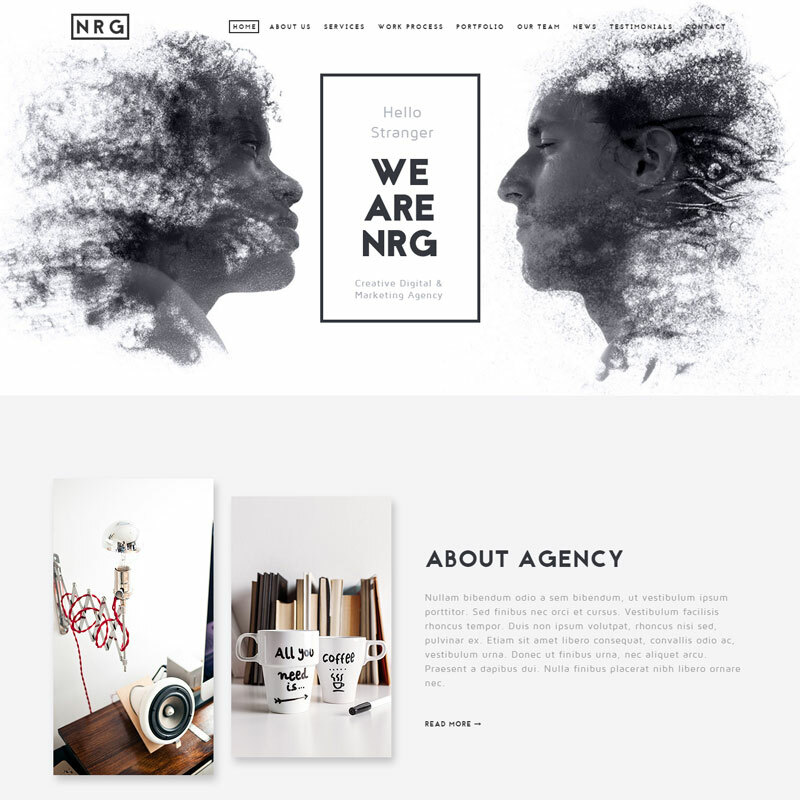 NRGagency is fully Responsive, Retina Ready Theme. 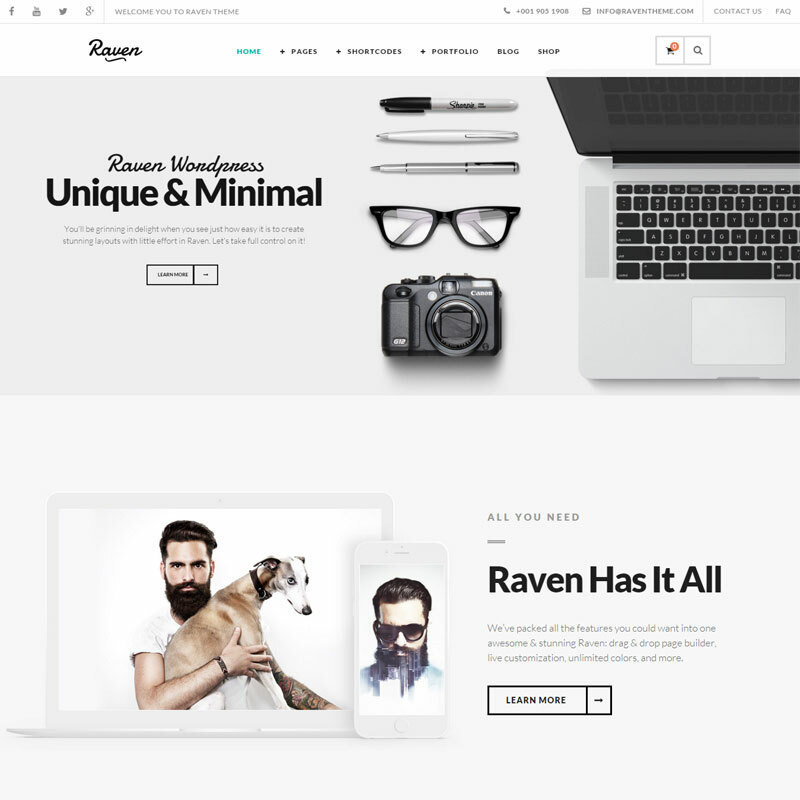 Raven is a simple and minimal WordPress Theme. Though it is a simple Theme but it provides and awesome look. The colors are very easy on visitors eyes and it called eye strain relief. That’s why people love to visit your Website. There are drag and drop page builder, it helps you to create your website page within a few minutes. There are 12 variations of homepage, You can choose any one of them for your Website Homepage. If you are a new WordPress user and don’t know how to make your website like the demo, then there is a solution for you. This Theme provides one click demo installation. Just wait a few seconds and Your Website will be like demo automatically. 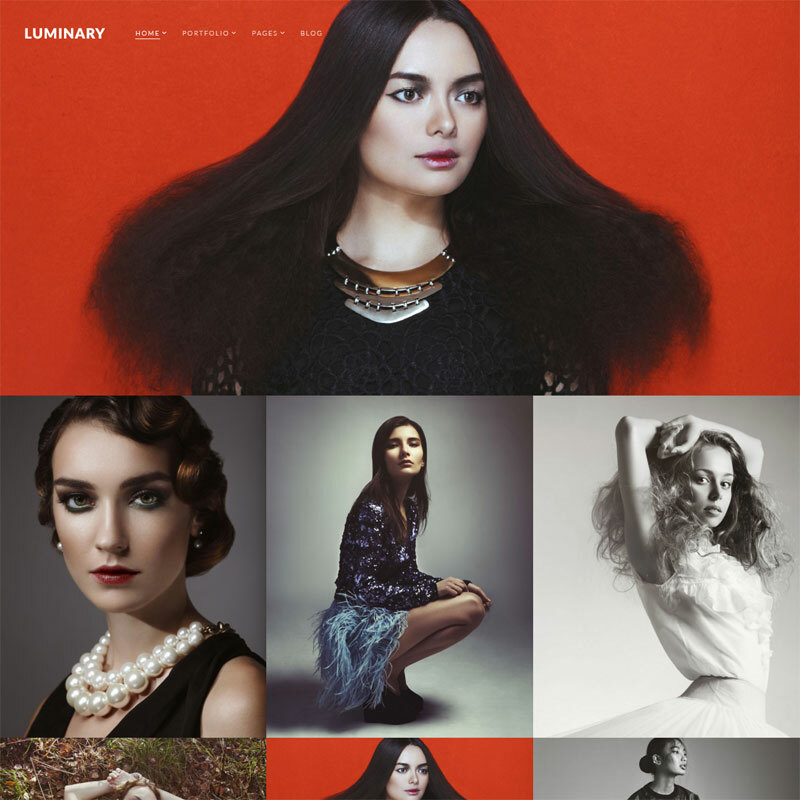 Luminary is a WordPress Theme built especially for photographers, illustrators, and designers. You will get some best and popular premium Plugin like Visual Composer, Slider Revolution. These Plugins make your working life easy. For Example; Visual Composer is the best plugin for Drag & Drop Page builder and Slider Revolution will help you to create hand-craft Slider within a few time. If you are searching for a creative and awesome looking WordPress Theme, Then this is the winning choice for you. 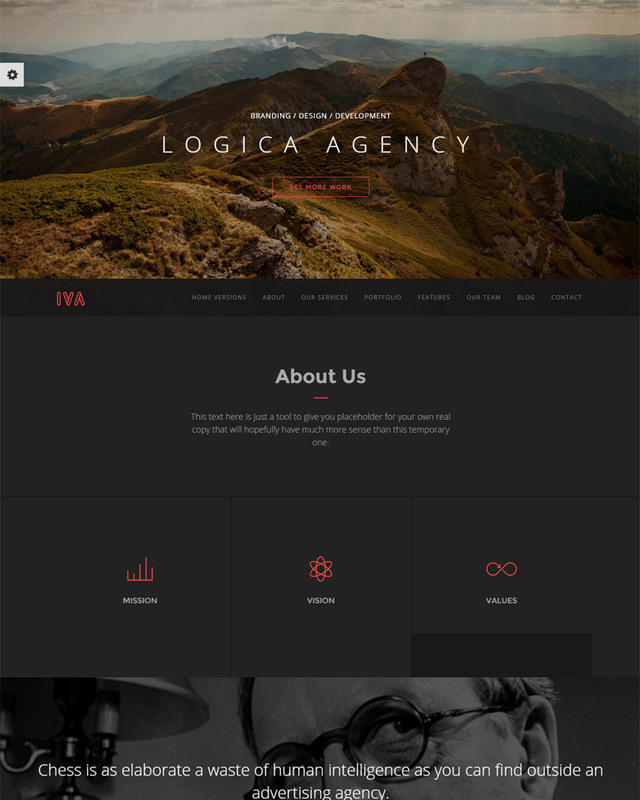 IVA is a all in one WordPress Theme. It’s Onepage, Retina Ready and compitable with any modern web browsers. This Theme provides multiple amazing and unique pre-designed skins. It especially designed for any type of business Websites or Agencies. There are many features for Theme customization and creating awesome pages. After installing and activating this theme you can use one click install for getting all features and demo installation. 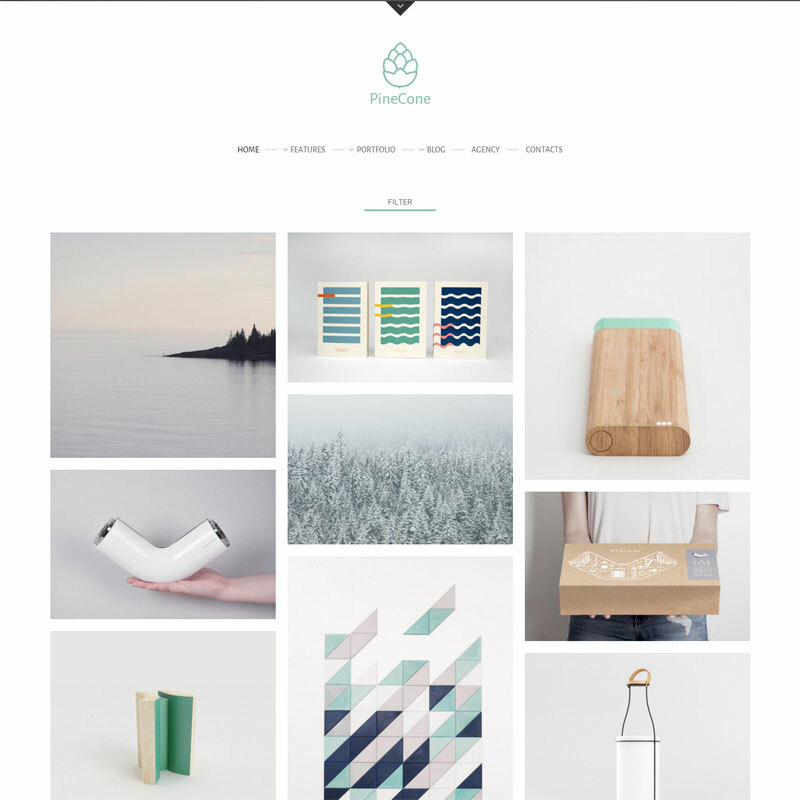 Revera is a simple and clean WordPress Portfolio Theme. This is not only suitable for Portfolio but perfect for a crative agency too. Here you will find Drag and Drop Pagebuilder. This helps user to design a page without coding knowledge. It has unlimited headers, hero title, and a lot for possibility. The fullscreen video allows you to maintain the autoplay, and popup. You can choose Left, Right and Horizontal Menu for your navigation. Get in touch with a powerful Theme Options Panel which help you to customize all single section of your Website. Fully Responsive and Drag and Drop page builder included. Contact form 7 supported and one click demo installation feature available. You will get full control in the sidebar. Per page sidebar option help you to arrange different types of sidebar in the different page. A Clean professional and simple Website Theme. 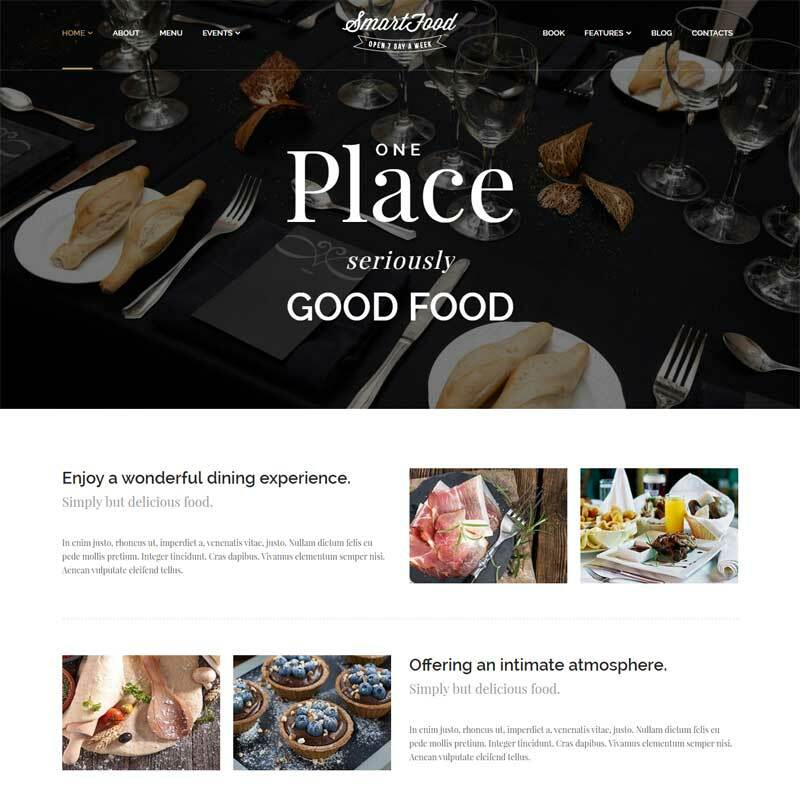 This is the winning choice for Restaurant, Bakery, any food business and personal chef web sites. Absolutely pure HTML5 and CSS3 code use for it’s development. The Responsive Design makes it perfect for adapt with any type of mobile device or laptop device. You can use this Theme as one page or multipage Website. You can check out the demo look for one-page design and multipage design. 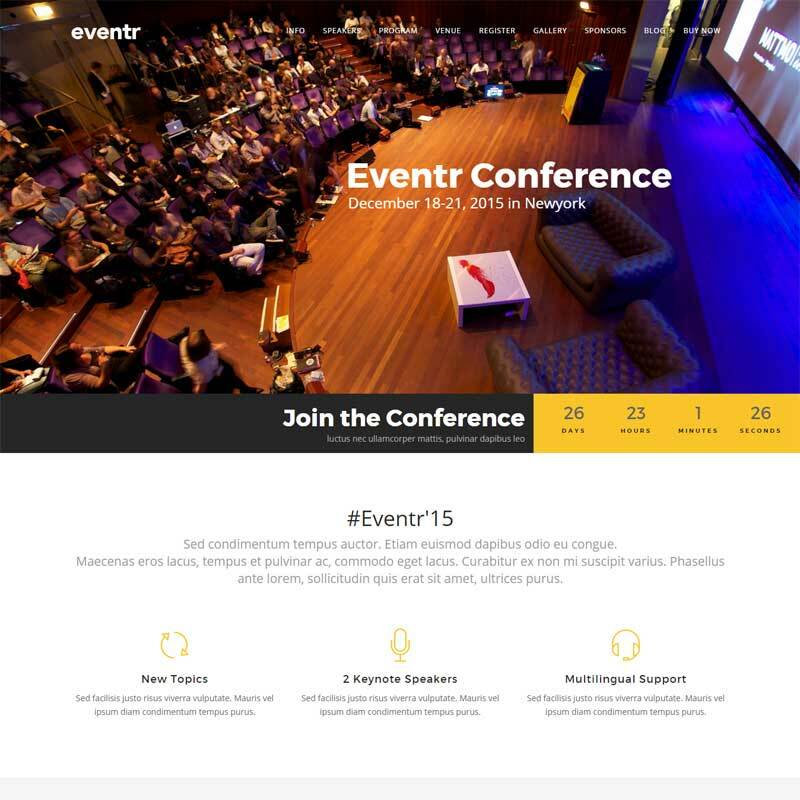 The best WordPress Theme for creating an Event Website. If you are planning to arrange a meetup or event you should create a Website and showcase the necessary information into your Website. This Website Theme helps you to create an Event Website within a Few minutes. Then just replace your content with the demo content. The Theme functionality is very simple and anybody can work with it. You can showcase you speakers and add some important news for your visitor. 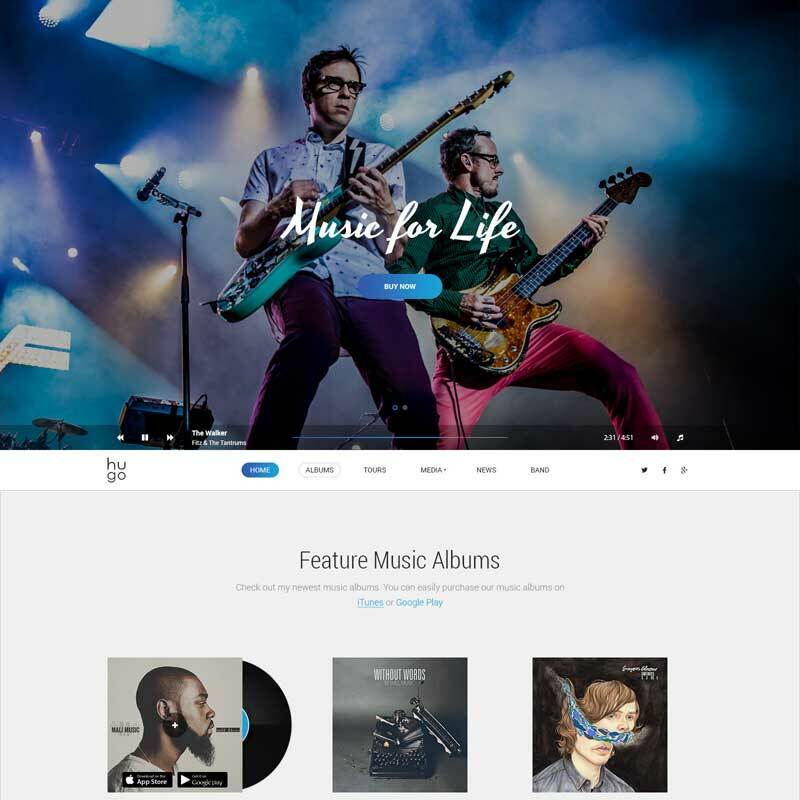 If you are running business for Music or Band, then you will fall in love with this Theme. This Theme is so clean and modern that everybody loves it. If you are a part of arctic company, singers, music bands, composer, blogers, vlogers then you should check this Theme for your Website. Showcase your creative mind with a creative way. There is a lot of demos. check this out before buy this Theme. SmartFood is a Responsive WordPress Theme. This is perfect fit for websites ranging from restaurants, pubs, bars, wineries. It helps companies offering foods and drinks that need a clean and easy way to display their content. It is very easy to setup and you can use it easily. You will get demo content which available for import. The theme comes packed with everything you need to get your site up and running right away. 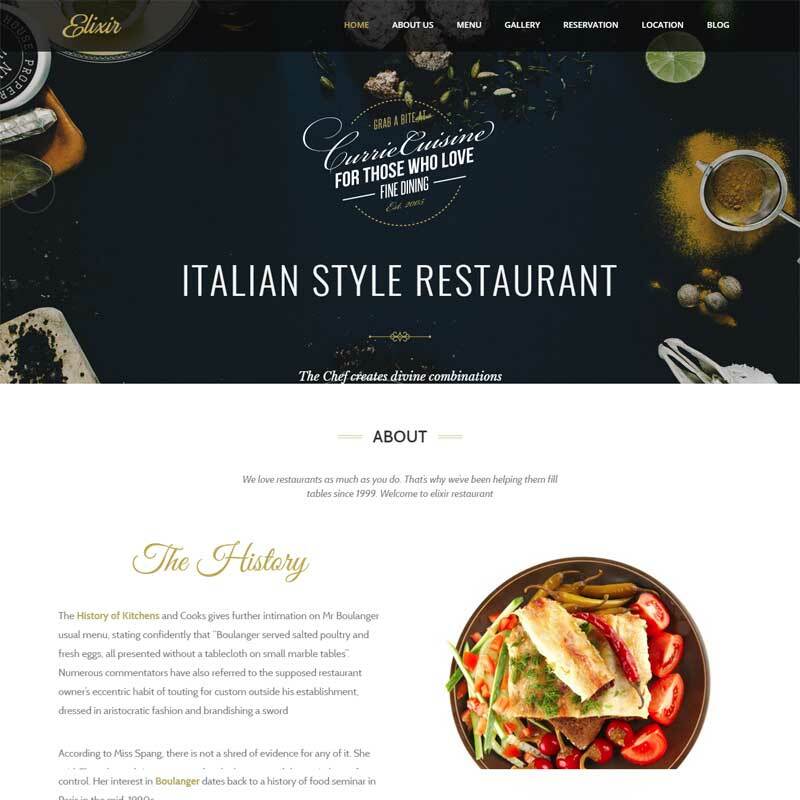 The theme comes with full support for the free WP Restaurant Manager plugin which has been built with the specific purpose to provide your site with a fully working booking app that is extremely easy to use. That is all about Responsive WordPress Themes 2016. Select the best for your business and create your Website within a few times. If you have a problem to installing any WordPress Theme you can contact us via Envato Studio.